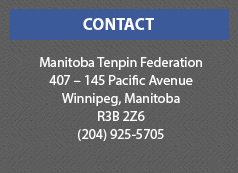 Manitoba Tenpin Federation currently offers a high performance and sport science seminars to assist any advanced bowler in further developing their skills and better prepare them for provincial, national and/or international competitions. 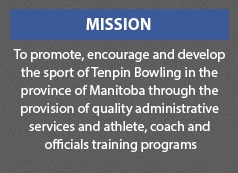 CTF National Team and help any Manitoba bowlers wishing to further develop their skills. These seminars will be held on a demand basis. These seminars are open to all bowlers and coaches. All seminars will be advertised in bowling centers one month in advance. Space is limited and will be allocated on a first-come basis. Registration is $5.00 – $10.00 per seminar dependent on the type of clinic. Please contact Ken at 925-5705 for further information.